Look who wanted to play when I was taking photos on the grass! 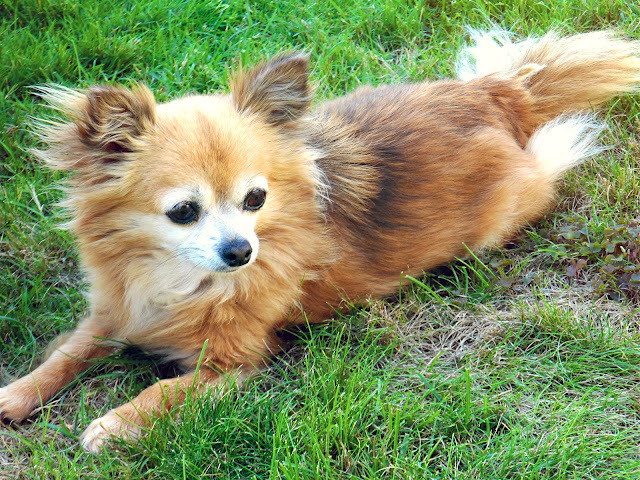 This is Smulan, our long-haired Chihuahua. Her name roughly translates to "little crumb" in swedish. It's usually a name swedish people name their cats. She is so sweet and cuddly - she could well be one. We got her when I was about 12 I think, so she is over 10 years old but still looks like a puppy! 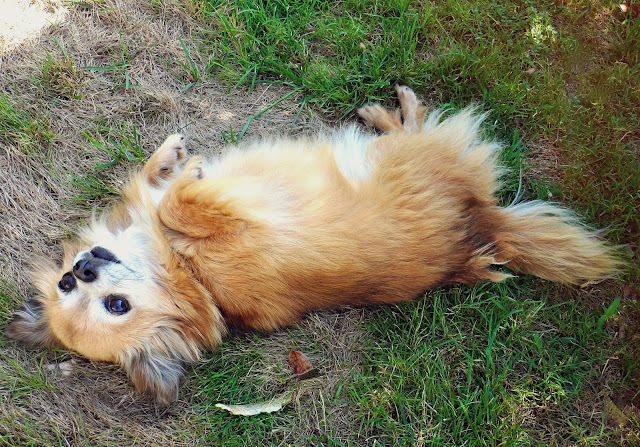 She's a little fox ♥ Do you guys have any pets? vad roligt att hon heter smulan! Min syster kallades smulan när hon var liten. Kan du mycket svenska? Tack för en underbart bra blogg! He is such a CUTIE!!! I want to cuddle this little thing all day, all night.. So adorable and fluffy! Yes I have a pet. I have a two year old pitbull mix named Gucci. She is so sweet and adorable. omg cute Dog! So sweet! Hey, Annie. Do you speak any swedish at all? Im from Sweden and looovelovelove your blog! Aw Smulan is sooo cute! My family has a 9 year old dog (papillon/bichon mix) and she still looks like a puppy too! congrats with your 2 million visiters !! Hey Annie! I have 11 cats, 4 dogs and a lot of birds!!! I had rabbits and fishes before but they died and I had 3 more dogs before but they died... :((( actually one of those dogs just died 2 days ago do please pray for her!! Recently I bought the Samsung camera you also have. (I bought it because of your beautiful pictures). It's such a good camera :). I also want to say that you made me read Rhonda Byrnes books and I already feel so much better. I'm at day 4 of the magic and I love the things you need to do. I have 3 cats. lol Smulan does look like a little fox! So cute. Haha my mom and I have a little teacup yorkie, she looks like a little fox too I always call her that even though her name is Lilly. Your little Smulan and and Lilly would love each other haha. Pets are one of the best things on the planet!